Summary: In this post, we will discuss the top 15 best iPad Screen Recorders available in the market. Check these tools if you want to record your iPad screen recorders. In most cases, a screen recorder is used to do screen recording. A Screen Recorder is a tool that enables the user to capture any area of the screen either as a screenshot or a video file, and it's also an excellent option if you want to know how to record iPad screen without a computer. Screen Recorders are extensively available as third-party apps for iOS, Android, Windows, and other platforms. Some new age devices have the inbuilt feature to record screen, without the use of the third-party apps. With the release of iOS 11, recording gaming or screen on iPhone or iPad is much easier currently. Several methods could teach all of us how to record iPad screenon all the iOS devices, including recording the iOS screen with some apps, recording the iPhone/iPad devices on Mac & Windows Operating System. So here amongst the various options available in the market globally, we will be discussing the best iPad Screen Recorders available in the market. The iPad screen recorder can capture any video, and it can record everything that is happening on the screen of an iOS device. It can enable the user to make a professional video tutorial and presentations through its amazing edits such as cropping, watermarking, trimming, adding Picture-in-picture effect and many more. With the AirPlay Mirroring feature, you can also capture both picture and audio of your iOS device. Not only this but you can also addyour webcam effect to the videos you record, along with fantastic editing options with preview options and predetermined profiles. And then you can finalize the videos and export them into MP4 formats for further editing. And with all those features and many more to explore the DVDFab Screen Recorder and Editor for iOS is the best iPad Screen Recorder available in the market. 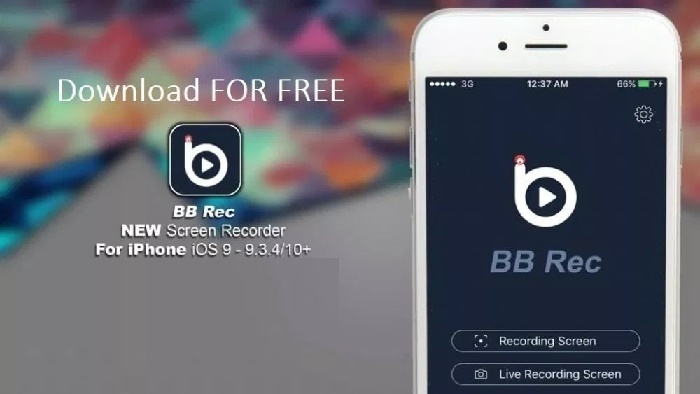 It is one of the best iPad screen recorders, thisscreen recorder can be easily downloaded from the Emu4iOS Store, and thus the screen recording can be executed from the app effortlessly. Once it is booted, it can be used for recording the content of the iPad just by clicking on the record button. With the help of the screen recorder, the user can record every content of the iPad including the audio. This screen recorder allows the user to record his or her favorite games, videos, demonstration, tutorial videos, applications for training, etc. on his/her iPad and iPhone. For the further enhancement of the recording, done through the ‘Record It’ screen recorder, the user can add audio commentary and video reactions to the recording. It has a useful feature of editing the recorded videos with the help of video trim functionality, video filters, and video rotations. It also helps to organize the recordings very easily in a single application. The Dr. Phone screen recorder is well supported by latest iOS version. The app offers users many great options, where one can mirror their screen with the help of its clear game recording feature, with a single click start function. You can install Dr.phone on both Windows and iOS version with the best-deployed features. The user can create desired videos through this recorder with the option for customized settings. This application can be used for education, business, gaming, presentations, and other recording needs which makes it a very productive iPad Screen Recorder. This is another iPad Screen Recorder for the active users that helps in easy mirroring while recording. It allows in smooth streaming very quickly with the user-friendly interface. The recorder can be used for live screen recording, camera recording, and primary screen capturing needs. It has a simplified installation process and enables the user to venture into professional usage. iRec 2.0 is one of the simplest and efficient screen recording tools that helps to capture videos at high resolution and thus teaches you how to record your iPad screen. Few incredible features of this software include a well-designed navigation platform, simple to use, and high-quality video output generation capabilities. It is one of the most-favored iPadScreen Recorder among the users for creating interactive tutorials and capturing the game events. CoolPixelis not just a video recorder instead it serves as advanced video editing software. The users love to use this screen recorder for games. However, during the recording process, it is not able to capture the game audio. With CoolPixel the user can add many filtering effects to videos along with subtitles, cutting and dragging combinations. The users are benefitted from its creative editing support. This application is used as a tool that allows the user to record any selected portion of the screen flexibly over the iOS. It can capture the signals from a microphone, video camera, and computer’s audio as well as multi-channel audio devices at the same time making it one of the most excellent tools available. It bears useful features like editing any desired portion of video and images with texts, transitions, and animations, sharing all kinds of files easily, and it helps to create advanced tutorials which prove as the best solution for the educators. This is a user-friendly application that can assist users to capture screen movements, recording and for the excellent image as well as video editing requirements. It is available with an intelligent file manager and also includes quick sharing features such as the secure sharing of the videos, advanced file management, the ability for capturing screen as well as web events. It also consists of a dual type of audio editor as well as image and video editor which makes it a different iPadScreen Recorder. Apple owns this iPad Screen Recorder, and itis considered one of the most potent screen recorders with built-in type media player. This software tool uses a huge number of file formats. It bears the advanced video recording technology which results in a rich quality output with the improved audio combination. The features of this recorder are that it is a highly sophisticated media player with advanced multimedia platform supports flexibly different file formats, fast in processing and also supports advanced video technology. It is well-known as a wireless streaming and mirroring receiver that can help users to stay connected with an external device. The mirroring feature works on a real-time basis for all the devices. The reflector is capable of organizing and presenting multiple devices of different specifications without any difficulties. The recorder offers much more features which makes it one of the most prominent iPad Screen Recorder. X-Mirage is also considered one of the most efficient iPad Screen Recorder. The user can stream content wirelessly using this software, and it further allows easy mirroring with iPad, iPod, and iPhone, etc. The efficient mirroring feature is available in this application. AirServer is an advanced screen mirroring software program supported by Xbox One, PC, and also Mac devices. 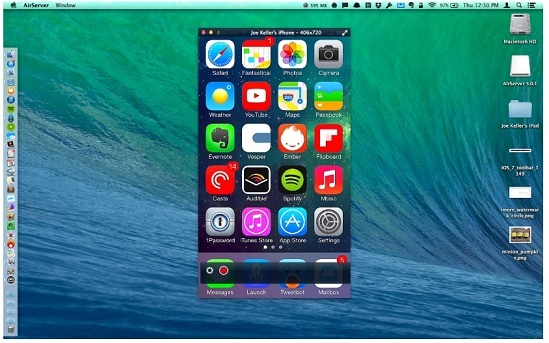 AirServer allows users to receive Miracast Streams, Google Cast, and Airplay, etc. And this can be used to cast the screen of an iPad to the external device. The app also offers advanced editing features that give it the top ranking among all the other iPad Screen Recorders. It is a free, stable, and excellent quality screen recorder that always results in the smooth recording of the videos. It captures the screen perfectly, and the users prefer this recorder exclusively for video calls, live shows, games, etc. The users can generate high-quality videos with the use of its customized settings. Apowersoft is one of the most useful iPad screen recorders which has an elementary recording program that allows the user to easily record all the activities that is being done in the iOS and MAC device of the user. It allows the user to mirror the content of the screen of the iOS device and record it at its ease. Apart from this, it can also record audio from the devices through the microphones or the speakers. In spite of the vast availability of screen recording software programs, if a user’s iPhone or iPad is running iOS11, it already comes with the built-in screen recorder. Though iPhone and iPad have the screen recording feature, it is not enabled by default; the user needs to set it up first. The built-in Screen Recording tool allows the user to record the iPad Screen Recorder App sound and music while recording videos. However, if the user wants to record the voiceover during recording, then it can be done by just long pressing or 3D Touch-ing on the control tile to enable the recording control window, then the mic icon is tapped to turn it on or off. Overall, all the mentioned screen recorders, especially DVDFab Screen Recorder & Editor for iOS,are excellent in their performance with high quality and exclusive features. Some of the exciting action movies can constantly keep you at the edge of your seat. Here is the list of top 10 best action movies on YouTube till 2018. How to download YouTube videos for free? Here are free methods for you to download YouTube videos easily and quickly.